2019 Chrysler 300 S 4D Sedan HEMI 5.7L V8 Multi Displacement VVT RWD Gloss Black 16/25 City/Highway MPG Bob Frensley , home of the Superdealer has been selling cars/trucks for over 50 years !! 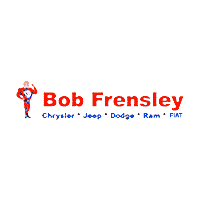 Call 615-859-0000 or visit www.bobfrensley.com to schedule a test drive. #sellingcarslikecandybars #sellingtruckslikereesecups. 2019 Chrysler 300C C 4D Sedan HEMI 5.7L V8 Multi Displacement VVT RWD Silver Mist Clearcoat 16/25 City/Highway MPG Bob Frensley , home of the Superdealer has been selling cars/trucks for over 50 years !! Call 615-859-0000 or visit www.bobfrensley.com to schedule a test drive. #sellingcarslikecandybars #sellingtruckslikereesecups. 2019 Chrysler 300C C 4D Sedan HEMI 5.7L V8 Multi Displacement VVT RWD Bright White Clearcoat 16/25 City/Highway MPG Bob Frensley , home of the Superdealer has been selling cars/trucks for over 50 years !! Call 615-859-0000 or visit www.bobfrensley.com to schedule a test drive. #sellingcarslikecandybars #sellingtruckslikereesecups. 2019 Chrysler Pacifica Touring L 4D Passenger Van 3.6L V6 24V VVT FWD Bright White Clearcoat 19/28 City/Highway MPG Bob Frensley , home of the Superdealer has been selling cars/trucks for over 50 years !! Call 615-859-0000 or visit www.bobfrensley.com to schedule a test drive. #sellingcarslikecandybars #sellingtruckslikereesecups. 2018 Chrysler Pacifica Hybrid Touring L 4D Passenger Van 3.6L V6 FWD Bright White Clearcoat Bob Frensley , home of the Superdealer has been selling cars/trucks for over 50 years !! Call 615-859-0000 or visit www.bobfrensley.com to schedule a test drive. #sellingcarslikecandybars #sellingtruckslikereesecups.